There’s more fun to be had outdoors when you add Crayola Sidewalk Paint Markers to the mix. Simple to use, easily washable, and fun for kids of all ages, these are great outdoor toys for warm weather days. 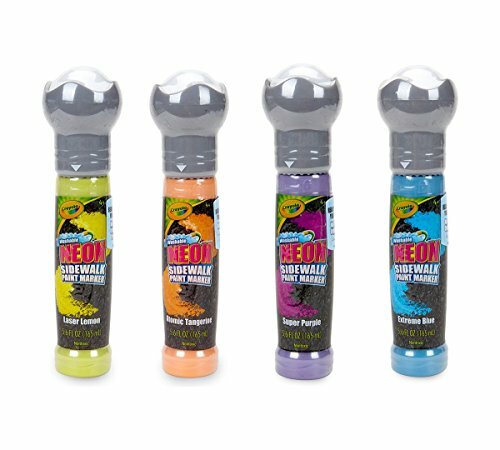 The bright neon colors will make your outdoor art pop out like never before as you easily glide paint across the driveway or sidewalk. Be sure the inner foil induction seal is removed. The paint is very thick. It needs to be shaken liberally until you can hear / feel the paint in the container. Give more small squeezes if necessary to recoat the ball with additional paint.